i had the pleasure of designing all of the paper goods for one of my best friend's daughter's first birthday party! 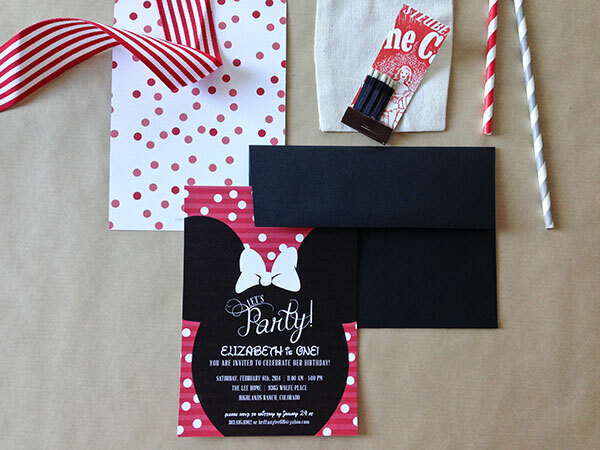 the theme was minnie mouse and included tons of fun patterns, like stripes and polka dots! the food + cupcake signs featured fun wording taken from the mickey mouse clubhouse tv show! 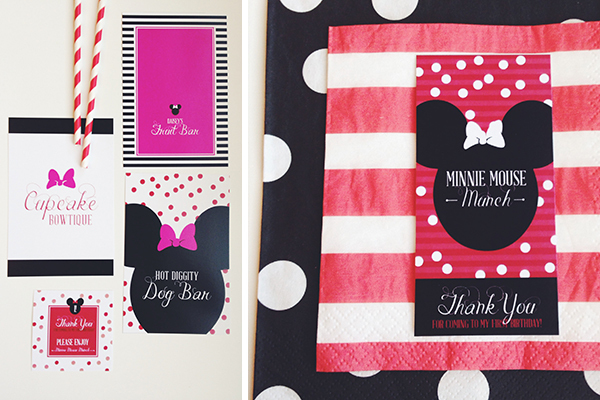 the minnie mouse munch favors were tied with black & white polka dot ribbon and a thank you tag! i kept everything modern + whimsical and a bit more grown up! a chic invitation for a super chic one year old!